A world of CPG experience. In our 18 years we’ve helped more than 300 brands across 3 continents, 11 countries, and 32 states. Bon voyage. Land O’ Frost is a familiar name to those who love lunchmeats, sausages and franks. In fact, they are the largest family-owned brand of packaged deli meat in the U.S. Concentric is supporting Land O’ Frost as they expand their product line. Chung’s Foods is a leader in traditional, high quality frozen Chinese appetizers. This Houston-based company has selected Concentric to assist them as they agressively indentify the next exciting chapter in their impressive story. Lindy’s is the second largest producer of retail Italian Ice in the U.S. We drove growth through a rebrand driven by insights that modernized the brand and created distinct positioning vs. the category leader. See Lindy’s case study for the whole story. Concentric has enjoyed a long, productive relationship with Easterseals UCP North Carolina and Virginia. We are helping them with strategic messaging to facilitate effective communications across their many important audiences. Renwood Mills™ is a large regional producer of food service and consumer baking products. We drove growth by creating a plan to modernize the brand while finding new audiences for its traditional products. Craft Freedom is a consumer education, advocacy and lobbying initiative to support the rights of the craft brewing industry. We drove growth by developing consumer messaging and supporting political efforts to raise awareness and change legislators’ minds in support of less-restrictive laws. Harris Teeter® is the largest grocery retailer in the Carolinas. We drove growth by spearheading their initiative to get “local”, driving sales of regional brands within their stores. The maker of iconic Caramel Creams® and Cow Tales® is a 122-year-old, fifth generation candy company. We drove growth discovering untapped equity from old fans while introducing the products to a new generation of candy lovers. See the case study. Respect™ is a new product launch of premium ABF turkey burgers. We drove growth by creating a highly-differentiated look and voice within a stagnant category of behemoths. The Olde Mecklenburg Brewery™ is the first and largest craft beer producer in the Charlotte market. We drove growth through brand development that created a consistent and differentiated look and feel for the brand and its new Brauhaus and Biergarten. See OMB’s work and case study. Giovanni Foods is a food service and private label co-packer in hot fill manufacturing. We drove growth by helping the company break away from price-driven commodity sales to a value-added platform built to meet an unmet demand for advisory, partnership and innovation. In its sixth generation, Minerva is the nation’s largest family-run butter and cheese dairy. Things like pasture raised cows and slow churning in small batches make Minerva’s butter noticeably better for cooking and eating. Concentric is supporting Minerva’s multi-year effort to expand into new stores and new kitchens. 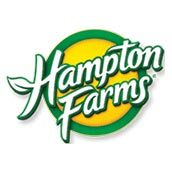 Hampton Farms is America’s #1 maker of in-shell peanuts, as well as a provider of many other quality nut products. Concentric is helping them solidify their leadership position as well as introduce their great products to a new generation of shoppers. An iconic heritage brand, Smith Brothers® was the producer of the first cough drops in America. We drove growth by creating a fresh identity and position for this classic brand. American Flatbread® is a national producer of hand-crafted premium flatbread pizza. We drove growth through research, trade and consumer branding guidance focused around increasing velocity and consumer loyalty in non-core markets. Kurgo® is a rapidly growing manufacturer of a broad line of recreational, outdoor and safety-focused dog accessories. We drove growth through comprehensive insights, strategy, and creative designed to drive awareness and memorability within the Pet channel. 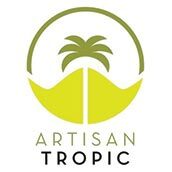 Artisan Tropic has a passion for healthy snacking. Their family business started after their daughter fell ill and was successfully treated by a holistic nutritionist. We are now helping them promote their healthy mission and products to health-minded people everywhere. Husqvarna Group has asked Concentric to revive the classic Weedeater brand. We are re-introducing Weedeater through its easy-to-use, lightweight tools to a new generation of home owners who want to enjoy their yard more than they want to work on it. South Beach Diet® is a popular line of food products based on one of the best-selling diets in U.S. history. We drove growth by leading their initiative to extend into the growing nutritional bar segment. GOPO® is a natural supplement brand developed by a British manufacturer, Jakeman’s. We drove growth by assisting them with their launch into the U.S. marketplace. Read more about this fantastic product and company in this case study. Family Dollar® is the largest retail banner in the rapidly growing dollar store channel. We drove growth through a number of projects including the rebranding of their private label women’s apparel and accessories line.